Shawn Bowers is an Artist from Chicago who has an unhealthy obsession with Garfield, and that’s okay. 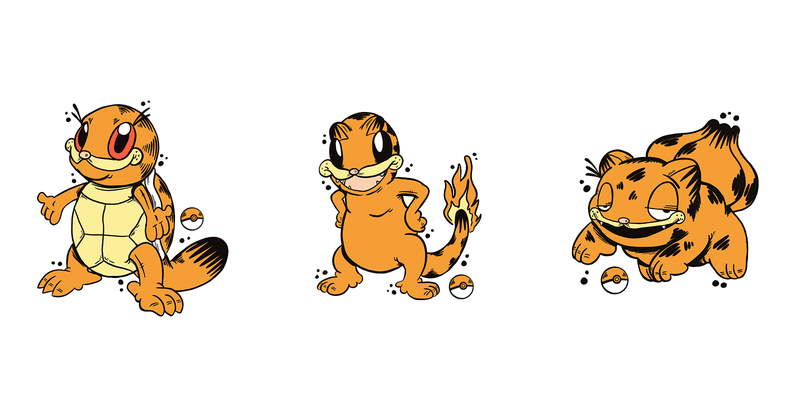 Bowers, having drawn 50 different iterations of ya boi the Garf’ on his Tumblr (scroll down a bit to see his first Garfield works), decided the only way to advance his medium was a crossover with something else people have an unhealthy obsession with: The first generation of Pokemon. The Garfs’ are organized on the totally official Garfemon page where every Mon’ is organized in order of its ID number. When asked “WHY DO THIS?”, Bowers left the simple answer: “I don’t know, man, why is the sky blue? Why do saxophones make jazz? Why are saxophones gold?” Translation: Cause I could. The project is still midway through production, with plenty of Garfs’ still incomplete, but there are still quite a few fantastic pieces of modern art. I picked out the best, alongside Bowers’ description of each. Bowers has the rest of his work on the Garfemon Tumblr page, but you can also follow him on Instagram and Twitter!